Your mission means so much to you that you can literally FEEL it in your body. You KNOW you were meant to do so much more, it HURTS. You KNOW you are meant for BIG things. And it’s scary. It’s terrifying. And sometimes you want to give up because you feel like no one hears you. Like no one understands you. And that f*cking hurts. NEVER feeling like you have to hold back. Selling with ease and PASSION. Having the most FUN you've EVER had in your biz. I am here to help you bring your magic back out. Because you ARE meant for so much more. Holding back is a disservice to yourself. And it’s a disservice to the women YOU are meant to help. A 5-week mastermind for the woman who wants to share her magic with the world and make a lot of money while doing it. Because you’re ALLOWED to honour and OWN your price, and feel really good about it. This INTIMATE mastermind allows you to be HEARD. You’re not lost in a group program of 20 to 50 people. You’re in a sisterhood of women who understand you. I'm Steph! 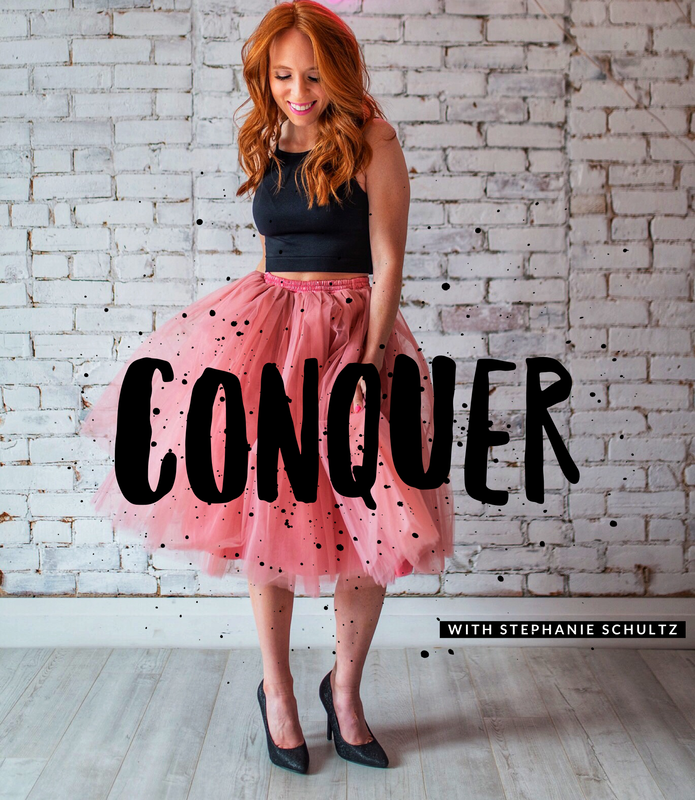 I have built a 6-figure online biz through heart, soul, strategy, fun and alignment. My intuition is my SUPERPOWER. And it works. I have a BIG heart and BIG dreams. I say it and then I do it. I show women what's possible. I show you what's within your reach. I generated over 130k in the FIRST quarter of 2019 through the work I will teach you in this mastermind. Your biz should FEEL amazing. YOU are unstoppable. YOU are MAGIC. The world NEEDS your voice. You say yes, everything else follows. In this mastermind you will be heard, you will be seen, you will be supported, and you will grow beyond what you could ever have imagined. 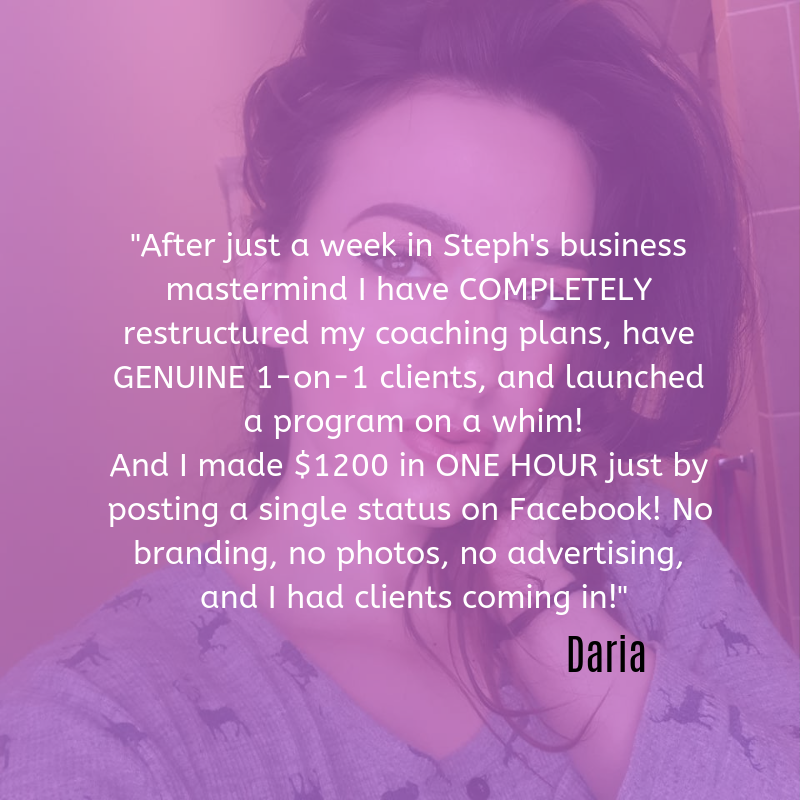 ​Then this mastermind is for you!! Heck yes I want in! The next session starts on April 21st. The June session already has spots taken!